As a member of the Commonwealth Parliamentary Association (CPA), I met with the delegation from the Parliament of Canada on Monday 5 March 2018 in Parliament. The delegation included: Senator Patricia Bovey, Frank Baylis MP, Kerry Diotte MP, Senator Donald Plett, John McKay MP, and Daniel Blaikie MP. 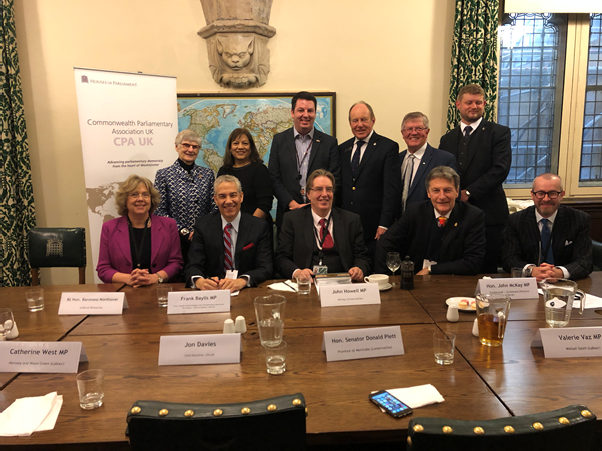 I was part of the UK’s CPA delegation to Canada in October 2016. I attended the House of Commons for women’s day, a Standing Committee on Women to discuss gender equality, and a Standing Committee on International Trade where we discussed the UK’s exit from the EU and our role with Canada. I also visited the Université Laval in Québec. Delegation visits help strengthen links and form new ones between countries and Parliaments.